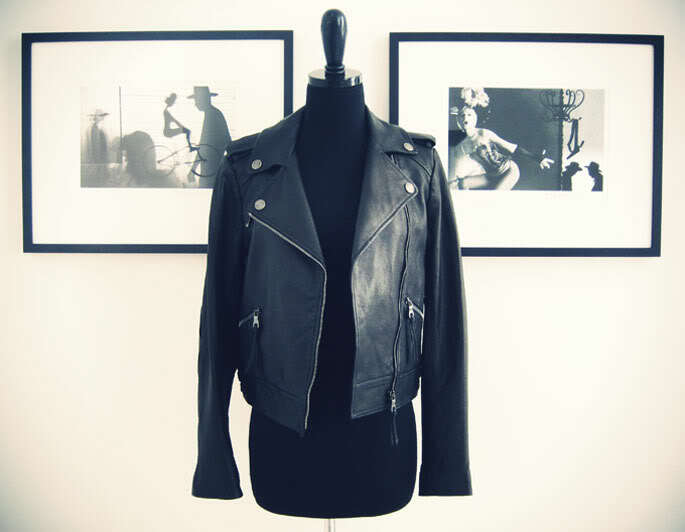 Here I am to show you the jacket I've found. It's pretty close to perfect. 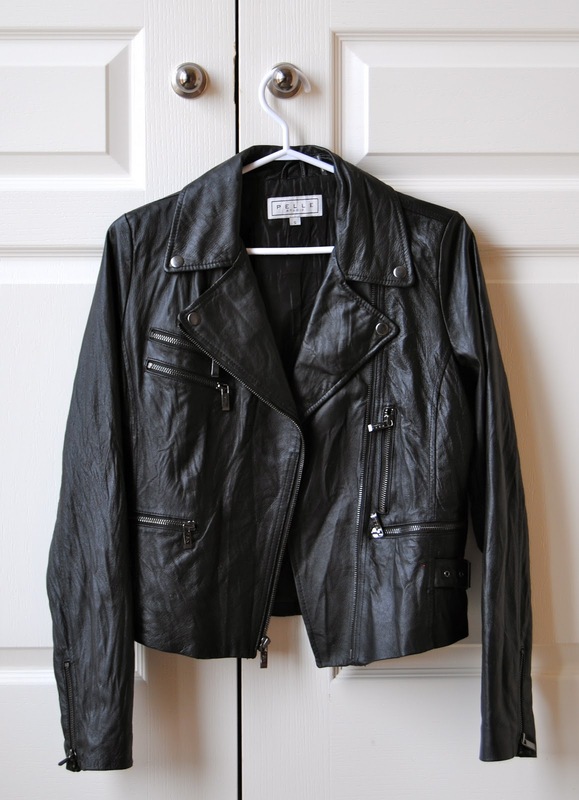 These are the ones I set out to look for: Tyler Leather Moto Jacket from Coach to your left. PS there's a new one! This isn't it... this is last years via glamourai. Well over $600 and perfect. To the right is the other jacket I was looking at from Zara which would've been well over $300 if my memory serves me correct. I think I am seriously underestimating these costs, but we'll go with those because even with the insane underestimating, it still looks like a fortune compared to the $120 tax in I paid for this one. Here's your sneak peak! Outfit post tomorrow, jacket included! What do you think? It's pretty wrinkly looking but it's the shape I want and it has the features I was looking for.